Since 2006, Salon Brea & Company has been providing a full range of hair and salon services for the entire family. Our stylists are committed to providing the highest quality of services and products to our clients at an affordable price. Our skilled and trained stylists offer precision cuts and trendy styles for men, women and children. We also offer quality waxing services for men and women. Our team attends continuing education classes in order to stay up to date on the latest trends and techniques. We strive to provide a warm and welcoming atmosphere for our clients, so they can enjoy their time with us. 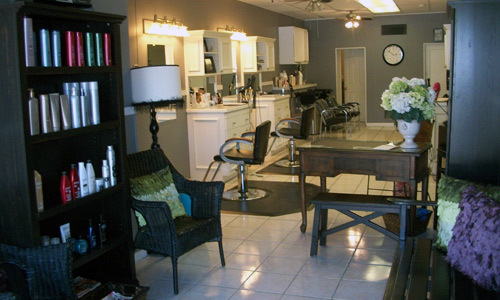 Our salon utilizes the highest quality of products to ensure our clients receive the treatment they deserve. Whether you're in need of highlights, a trim or a complete new hair color, we have the skills necessary to give you the style you have always dreamed of. At Salon Brea & Company, we guarantee personal service and satisfaction to all of our clients. For all of your hair care needs, contact us today! Monday-Saturday 9 a.m.- 5 p.m.
© 2013 CGI Communications Inc. All Rights Reserved.